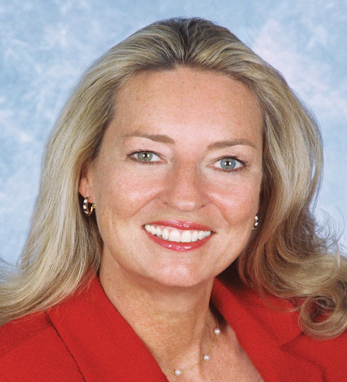 Deirdre Littlefield/Starr Marine Agency Inc.
Deirdre Healy Littlefield has been the Senior Vice President and Director of Business Development and Field Office Operations for Starr Marine Agency, Inc. since joining the company in 2006. She is also the current President of the International Union of Marine Insurance. Aside from her duties as Senior Vice President, Littlefield is involved in industry organizations and served as the Chairman of the American Institute of Marine Underwriters from 2000-2002. She was named one of the insurance industry’s “100 Top Women” by Business Insurance Magazine in 2000 and as a “Woman to Watch” in 2006. Littlefield attended Seton Hill University in Pennsylvania. She is married with one daughter, Catherine.